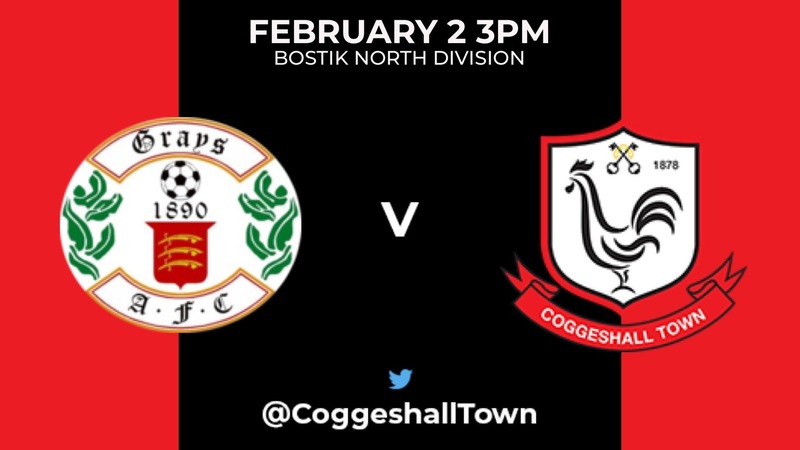 Coggeshall Town will be looking to returning to winning ways, having only won one of their last six games. Last time out for the SeedGrowers saw them fail to score at home for the second time this season as they played out a nil-nil draw with basement side, Dereham Town. The week before saw the Town be beaten by a physical Bowers & Pitsea side on their artificial surface – a task the SeedGrowers will be up against again as Grays Atheltic currently play their home fixtures at Parkside, the home of Aveley. Grays Athletic are also on a poor run of results themselves, having not won in their last four games and have lost three games in a row, which has seen them fall to the rear of the play-off chasing pack. The blues will have a familiar face (or two) within their ranks as they look to avenage the earlier four-nil defeat they suffered at West Street earlier on this season – Grays have this week confirmed the signing of midfielder, Correy Davidson who left the SeedGrowers recently to sign for Concord Rangers of the Conference South. Athletic also have dangerous striker, Kieran Bishop within their First Team squad, ‘Bish’ joined Coggeshall from Grays in the summer of 2018, however he returned to the Blues earlier on this season. Saturday 2 February 2019 at 15:00.